SEE MORE: How Can Your Business Benefit From A Commercial AV System? 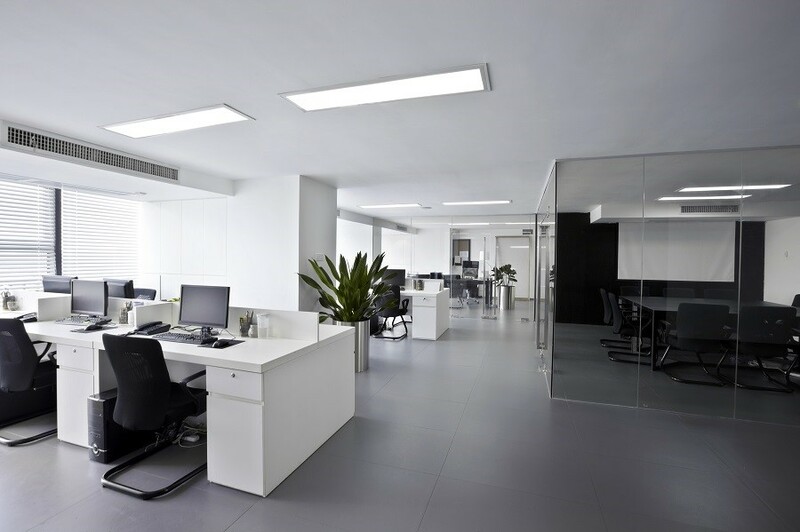 A commercial building automation system centralizes control of all your technology –from your network to your thermostat—so it’s easy to manage. From an employee smartphone or designated touchpad, you can schedule meetings, adjust the lights, change the audio volume and even look in on live surveillance. With access from a uniform user interface, it is easier to train employees and make adjustments quickly. From just one device you can prepare a boardroom for a meeting or transition a restaurant from lunch to dinner. What better way to optimize your technology than to make it a part-time employee? You can create automated responses, so your system takes care of certain tasks without you having to do anything. A typical application you’ve likely seen in many building has to do with lighting. Motion sensors are installed throughout the building, so lights turn on when movement is sensed and turn off after a period of inactivity. You can also program your thermostat to go up or down throughout the day or have shades close when hit by direct sunlight to improve client and employee comfort. While centralized control is already a huge boost to productivity, pre-set scenes take it even a step further. Not only does it take just one device to adjusts the lights, temperature, and media for a presentation but you can do it all by pressing just one button. Within your commercial building automation system, you can create scenes which control multiple components at once. A “Video Conferencing” scene pulls down your screen, turns on your projector, activates speakers and microphones and dims the lights. In a corporate office, you can save scenes for every type of meeting you run. In a medical environment, you can create scenes for every procedure you perform to reduce the amount of setup time needed between patients. With all your technology under one roof, you can also do a much better job of monitoring what’s going on in your business. See which boardrooms are being used, check the temperature in every room, and ensure all doors and windows are closed. You can even take your business with you on the go. Through a mobile app, you can check in no matter where you are, whether it’s in the Fargo-Moorhead area or across the globe. Want to learn more about how smart technology can boost your business efficiency? Contact Custom Cinema and Sound for a consultation.